This time, here’s a health-based food business idea for you to check out. <>These days, people are becoming more conscious about their health. And when we say conscious, most of them choose what they eat especially vegans (people who only consume non-animal-derived food choices). It’s their way of living healthy. Putting up a health-based food business is a great idea—and vegan chocolate cookies are just one of the many food options you can try to sell. Vegan cookies are healthier food choices for anyone. Because it’s a healthy dessert, you can savor eating chocolates without worrying how much calories you get. This is a win-win situation for your business because you don’t have to focus on vegans alone but also on other people who are watching their weight (and their number is constantly growing). 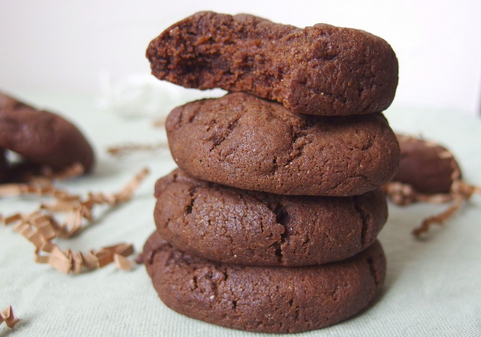 Here’s a vegan chocolate cookie recipe for you to try on. 2. Mix all the dry ingredients well—flour, baking powder, and salt. Set aside. 3. Combine oil, soy milk, sweetener, and sugar in a separate bowl. 4. Slice the dark chocolates into tiny pieces and add to the wet mixture. 5. Pour the wet mixture into the dry mixture and blend well. 6. When all ingredients are combined, ladle the dough and shape it into small balls. 7. Place them in a pan with no grease and bake for about 10-12 minutes. 8. When it’s done, let it cool for about 7 minutes before transferring to a cooling rack. 9. After that, you may put those in cookie containers and sell to your family and friends.